Alan Li is a visual artist focused on nature. He supports conservation efforts through the sale of his artwork and is active in volunteering. Alan believes that drawing can open people’s eyes to the planet’s wondrous diversity, and show them that it matters. Alan grew up near the Niagara Escarpment and spent much of his childhood exploring the cliffs and forests. Those early encounters with nature have influenced both the direction of his life and choice of subjects for his art. He currently pursues his own projects, teaches workshops and collaborates with grassroot environmental groups. 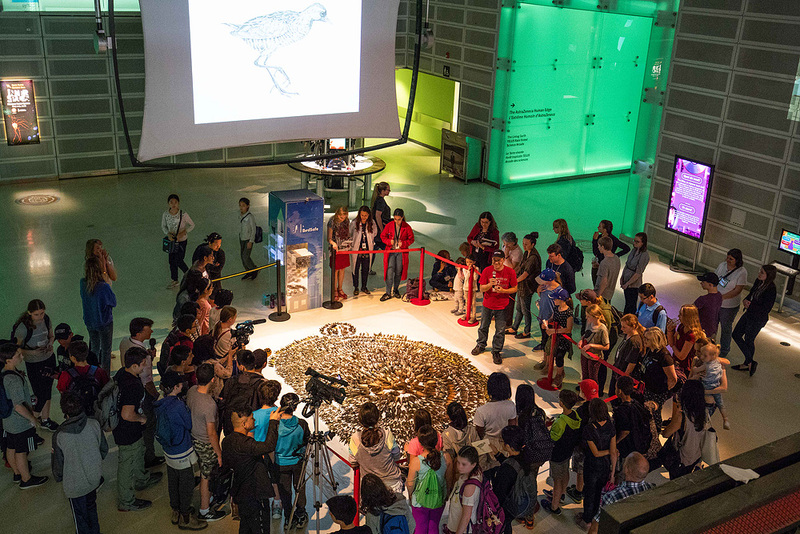 Speaking about Birds & Art during the 2018 FLAP Layout at the Ontario Science Centre. With Robert Bateman at the launch of NatureSketch, October 2017. Adult NatureSketch class at the Royal Ontario Museum. Junior NatureSketch class at the Royal Ontario Museum. Public Engagement with FLAP Canada.